When it comes to teeth, emergencies always seem to happen at inconvenient times. Brito Family Dental is here when you need us. While some emergencies are obvious, other cases can be more difficult for patients to determine on their own. If you are even unsure, call us so we can get more details from you and give you proper guidance. Some of the most common emergencies are listed below. Dr. Brito and his team are here for you no matter what your emergency. Dental emergencies are taken very seriously by our office and seen promptly. Emergencies can include infection, abscess, tooth sensitivity, tooth pain, swelling and trauma from an accident. Our goal with every emergency is to get our patient stabilized and out of pain. 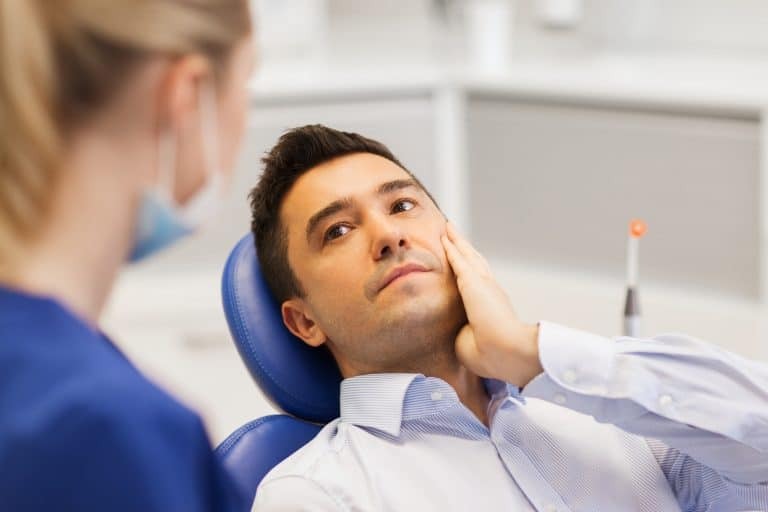 Treatments for emergencies can range from: extraction (taking out the tooth), root canal treatment, antibiotics, fillings, and crowns depending on the situation. If you break a tooth or if a tooth is suddenly causing you severe pain, once we can get you comfortable, our primary goal is to find out if we can save that tooth. If your tooth is not salvageable, we will move forward with an emergency extraction. Though these sound frightening, we work to make you feel comfortable throughout the process. Your recovery time is usually short. We may only need to place a couple of dissolvable stitches to aid in the healing process. If a dental implant is an option for you, we can discuss in more detail what that process entails. An abscess is an infection that can occur within a tooth or in the gum tissue. They can be quite painful, and the pain can come on gradually or seemingly all at once. If you have an abscess, you may also experience swelling and sensitivity. Call our office right away if you are experiencing any of these symptoms. We will begin treatment by draining any trapped fluids and cleaning out the infected area. An abscess does not always lead to an extraction, but it can if the infection has done enough damage. While this type of emergency may not come with the same levels of pain as other emergencies, we still encourage our patients to call us right away if they chip or crack a tooth. When we can quickly identify the extent of the damage, we can better repair and protect your tooth. Small issues that go unaddressed can become bigger, more difficult problems to correct. Like cracked and chipped teeth, lost fillings are easier to remedy when we know about them quickly. Since the filling is a physical barrier between the inside of your tooth and the outside world, it is important to replace that filling soon. Additionally, in some cases the filling comes out because the underlying tooth structure has changed. If this is the case, it is especially important to examine your tooth and look for any signs of additional decay or damage that need to be corrected before we replace the filling. Do you need an emergency dental appointment today? Call Brito Family Dental at (617) 766-8496 to schedule your consultation.